The Customer Confidence Index (CCI) is an indicator which defines the degree of optimism on the state of the economy that consumers are expressing through their activities of savings and spending. It is a crucial tool that enables the user to understand the consumer’s mindset.The world’s first CCI was introduced in the USA in 1985, and has a sample of 5000 people. Recently in India, The CNBC-TV18 Boston Analytics Consumer Confidence Index was launched which is designed to reflect the aspects of the Indian economy like employment, savings, spending, inflation, and real estate through the eyes of the Indian consumer. The CNBC-TV18 Boston Analytics Consumer Confidence Index will be released every month and shall be based on a sample size of about 10,000 respondents spanning all the metros and major 15 cities in India, thus making it the largest Consumer Confidence Index in the world. The index will be based on the level of consumer confidence over time on various parameters like Current Situation, Future Expectations, Employment,Inflation, Consumer Spending, Savings and Real Estate. 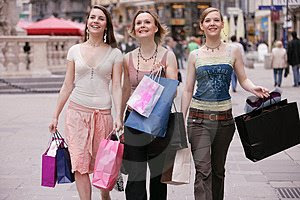 Meanwhile,the CNBC-TV18 Boston Analytics Consumer Confidence Index dipped 4.2% in May from 74.1 in April. The Future Expectations Confidence Index also declined 6.8% — from 77.6 in April to 72.3 in May. This was the lowest reading of indices since Jan 2008. And Markets on a roll ! This is a new indicator and hope it gives some direction to the market.